Unlike the Antarctic which is a continent itself, the Arctic is an Ocean surrounded by continents. It is also one of the most pristine and biologically rich areas of the world. The black ice glacier in front of the Comfortlessbreen Glacier on Svalbard. When it comes to understanding the Arctic, it is important not to consider it simply as a homogenous section of the world entirely covered by ice and snow. In fact, its geography and wildlife is extremely diverse with some areas remaining virtually ice-free all year round, while similar latitudes elsewhere are predominantly ice-covered. 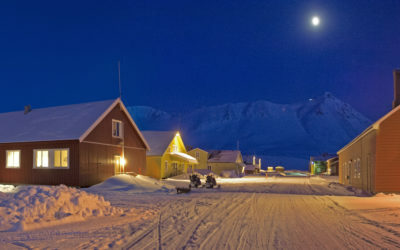 The UK Arctic Research Station is located in Ny-Ålesund on the southern shore of a large and sheltered fjord called Kongsfjord on the remote Svalbard archipelago – part of the Kingdom of Norway. Set high in the Arctic Ocean, the archipelago covers an area slightly smaller than Ireland (63,000 km²) and is dominated by Spitsbergen, which is the largest island. Not as cold or as inaccessible as people might think, Spitsbergen offers a truly Arctic experience, on the edge of the inhabitable world. The Svalbard archipelago extends between 74 and 81° north, about halfway between Tromso in Norway and the North Pole. It is the northernmost place in Europe and is the farthest north you can travel by scheduled flight. The island is rich in minerals, particularly coal, and visitors can travel to settlements rich in mining history and still involved today. The fishing and whaling industry of the past have also left their mark and remnants make for interesting photographic subjects in many locations. Polar Bear (Ursus maritimus) with cubs seen from the RRS James Clark Ross. There are only three species of large mammal on Spitsbergen – polar bear, reindeer and Arctic fox. The chance of a sighting of any of these species is good but can never be guaranteed. However, marine species are more plentiful and include walrus, ring and bearded seal, white-nose dolphin, narwhal and orca. Belugas, fin and other whale species are also commonly sighted in the waters around Svalbard. In addition, over 100 types of birds, such as guillemots, kittiwakes and little auks thrive here, despite the high latitude. Tour ship (Calypso) and tourists visiting the international research community in Ny-Ålesund, Svalbard. The Arctic is full of wildlife, pristine landscapes and culture, and has seen large growth in tourism over the past 15 years. 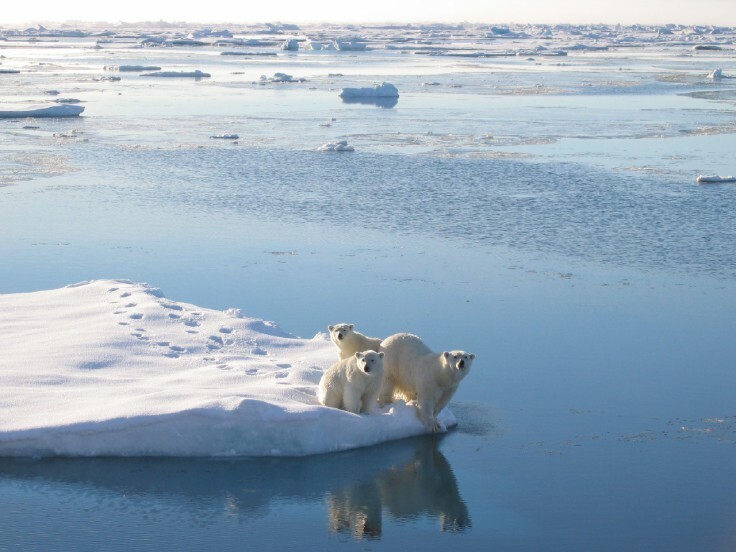 The Arctic is an increasingly popular destination for British travellers both as passengers on cruise ships and onshore enjoying adventure tourism activities. The UK promotes safe and sustainable tourism in the fragile Arctic environment and is aware that the isolation of some parts of the Arctic combined with the harsh environment poses unique challenges to safe tourism.